Includes a giant, full-colour wall frieze for the classroom! The second book in a series of three photocopiable activity books designed for non-native speakers. 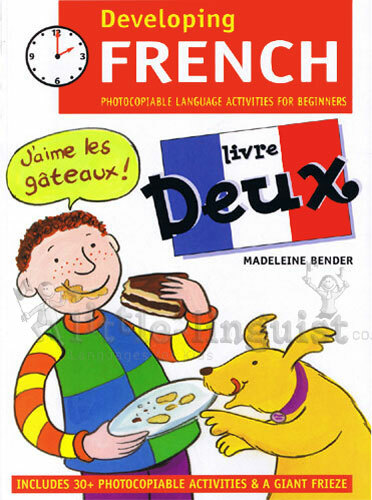 The books in this series are aimed at children starting French lessons at primary school or lower secondary school. Each book contains over 30 flexible activities, including puzzles and games, that aim to help develop new language and vocabulary. The puzzles and games are supported by a visual dictionary, pronunciation guide and links to French language web sites. Developed for use with children at primary school or lower secondary school who are beginners to the French language. Printed instructions on each worksheet are kept to a minimum to avoid confusion with younger children.